326 The Napinka Subdivision, Mile 0 to Mile 49. 2011/05, Former CPR Napinka Sub. Mile 16. 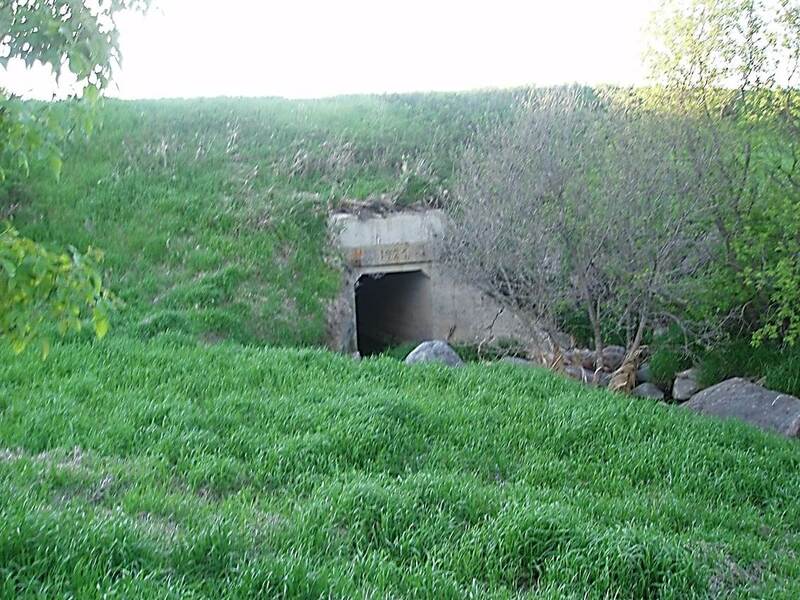 Concrete culvert built in 1921 just N.E. of Crystal City Yard. (BTRC & CPR Records) Rail bed running N.E. to S.W. (Click on photo for detail) © Text and Photos exclusive copyright of N. Froese.